Tired of hotels, set mealtimes and impersonal rooms on your weekend break? 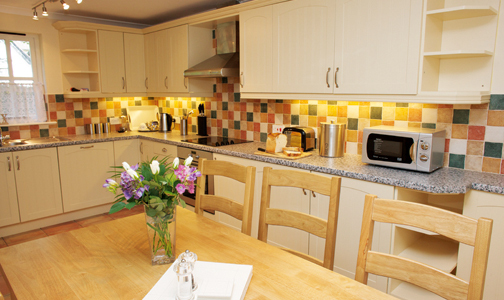 Treat yourself to a self-catering holiday… and let others take their turn in the kitchen! Penhaven Cottages, set in their own grounds, in the quaint village of Parkham, six miles from Bideford, are all you could wish for in comfort and cosiness. Beech Tree cottage sleeps 5 comfortably and is furnished to very high standards, including a Jacuzzi bath, free wifi and Freeview TV and a private garden with bbq. The kitchen has all mod-cons but if you simply can’t be bothered to cook, just wander over to the Bell Inn which won’t see you go hungry! Take a step back in time to the historical (and privately-owned) village of Clovelly (£6.75 entry fee) where sledges are still used to transport heavy goods around the notoriously steep cobbled streets. Head for Hartland Point and its dramatic coastline. And to find scones as big as your fist, accompanied by pots of strawberry jam and clotted cream Tea on the Green at Westward Ho! Is a must. You may have to wait for a table but don’t give up, you won’t be disappointed. And you can’t be at the seaside without having fish and chips – we got our fix from the highly-rated Ilfracombe Fryer and ate them on the cliffs overlooking the sea. And for children big and small, Sandymere Beach is simply gorgeous. A week’s stay in Beech Tree Cottage at Penhaven Country Cottages for up to five people starts from £600 and a short break from £360. To book, go to www.premiercottages.co.uk or call the owner on 01237 451711. Premier Cottages’ collection features almost 1,000 four and five-star self-catering cottages across the UK. 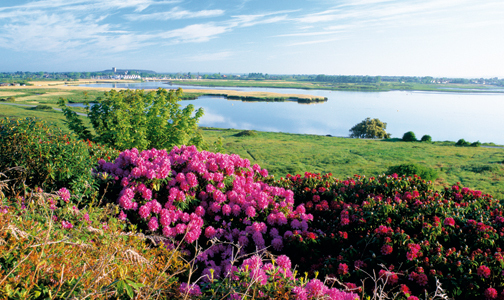 Properties range from small, romantic boltholes to large family-friendly country estates. The collection includes pet-friendly accommodation. It also offers the widest range of accessible properties in the UK and many properties have onsite facilities like swimming pools, gyms, spas, indoor games rooms and children’s play areas.